I wouldn’t worry about the fog too much. Sometimes a hairdryer can help a bit but you should find as the weather dries out it’ll sort itself out. If you stick to your service schedule religiously I don’t see any reason why it won’t. The N/A Subaru engines are pretty reliable on the whole, 99% of the time it’s poor maintenance that kills them, not any fundamental design flaws. Follow the link on this thread... choose the club from the drop down list and the password is Daverac, then go through to buy the tickets you need. Welcome. You’re right, they really have something about them that other cars just can’t seem to tick the boxes! I’d say the gearbox sounds fairly normal to be honest, they have a habit of being a bit juddery, although it might be worth getting somebody to check over all the bushes and mounts on the gearbox and diff just to double check. I find mine will only ever really want to go into first from a complete standstill. Reverse is exactly as you describe too, it’ll go in a lot easier with a slower motion, I think it’s probably designed that way to stop you doing it by accident while driving along. Change gear at whatever revs feels right, the engines are designed to withstand being revved to the limiter that’s on there, obviously not all the time though. I would say it’s fairly important to let the car come up to temperature before giving it too much of the loud pedal, I tend to keep mine under 3kish rpm during this time. Good general maintenance, regular oil changes - every 3000 miles is ideal. Cambelt at the proper intervals (can’t remember it now but I’m sure someone will). Get into a good habit of checking your oil and coolant regularly, weekly will be fine. Most of all, keep enjoying it! Ive asked a local club that aren’t attending if any members would like to join to up the numbers a bit. Do you still have your old engine with all the engine loom in place? If so it’s probably easiest do take the inlet manifold off of that, taking note of where everything was disconnected from, and put it on your new engine. This should help with the vacuum hoses. Welcome! 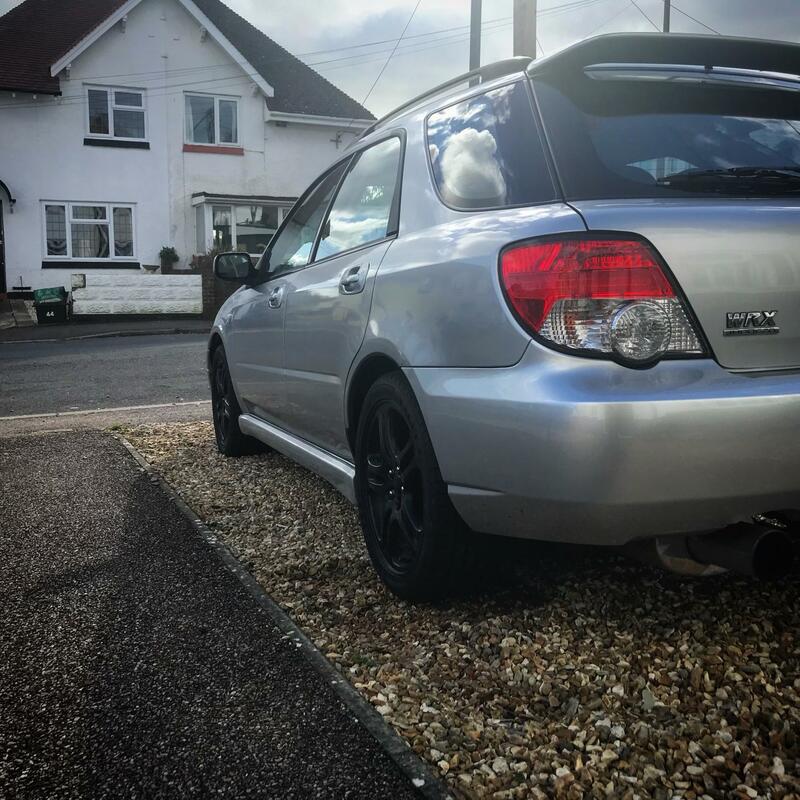 I’ll always have a soft spot for these, my first Subaru was a gen 2 legacy. I’m fairness they’re pretty rare, most of this age are wagons and seem to be less and less common. I imagine that colour will look great with a good clean and a polish too. No such thing as a daft question! Just realised you didn’t actually mention ARBs... 😂. But they will make a difference. I had a strut brace on my legacy, can’t say I noticed much difference but they must be doing something. Plus they add a nice touch to the engine bay. Some decent tyres will make the world of difference, made mine feel like a completely different car. Upgrading just your springs might be the way to go, most performance springs have a progressive element so they stiffen up the more you lean on them. Regards the anti roll bars, there was a post on here a few years go from @stants if I remember correctly. 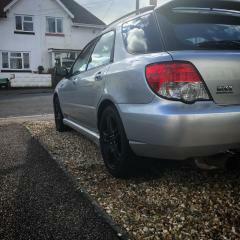 He changed both front and rear anti roll bars for thicker ones and it improved turn in feel. I think he coupled this with changing to poly bushes as well, which is another area to look into. 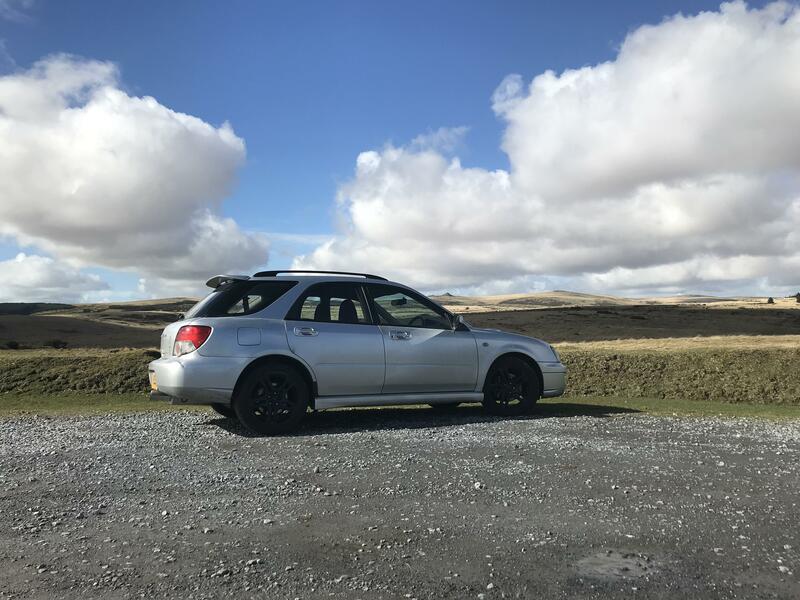 Managed to convince the better half she wanted a day out on Dartmoor... gave me a good excuse for a good spirited drive. She must’ve enjoyed it too though, I even got her to take a half decent picture for me. The reservoir being lower than the pump is a pretty shocking design really isn’t it?